However winter time, January and February in 2014, was very cold in Japan, now it’s April and spring has come. We can enjoy many delicious seasonal foods in spring. 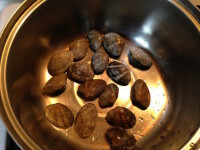 The Clam, “Asari” in Japanese, is one of seasonal foods in spring. We can buy it all the year, but one in this season is special. The meat of clam is big and soft. 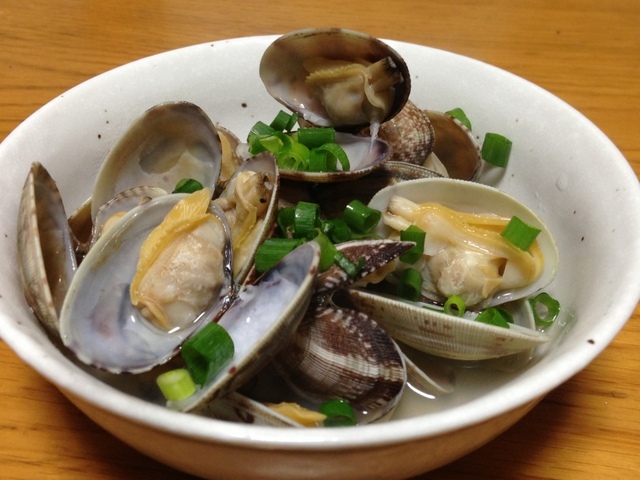 Clam has been eaten in Japan since very old time. Its fossil are found from remains which are estimated ones in Johmon Era (14,000BC – 300BC). From this fact, it can be said it is a very important and popular food. Now we enjoy clams as many style of meals. Perhaps, soup such as miso soup or clear soup (“Osuimono” in Japanese) is most popular style. 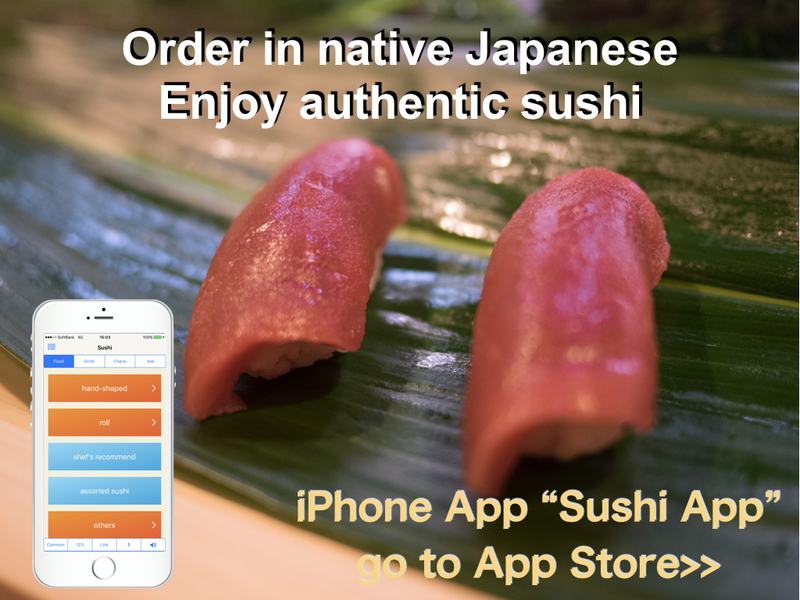 Of course, I like those soup, but today I would like to introduce another style “Sakamushi”. 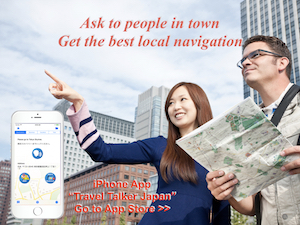 It is very easy to make. 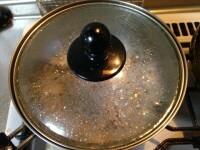 1) Place Clams in salt water (3%) for about 30min. 2) Place Clams in a pan and add Japanese Sake. 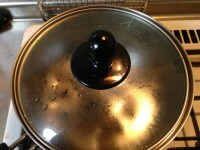 3) Then place the lid and heat on strong or middle heat until all shells open. 4) Add some chopped green onion on top. I usually use cooking Sake. But if you use Sake for drink, it will have better flavor. The point to make it better is not to heat longer. Stop heating as soon as shells opened. The meat will be still soft. As you might notice, this menu doesn’t use any condiments other than Sake. So the broth from Clam can be enjoyed well. “Asari no Sakamushi” is usually served as a side dish and is good with Sake. If served it with Takenoko Gohan (Bamboo Shoot Rice) and Nanohana no Karashiae, you will be able to enjoy the grace of spring.